Mediation is an alternative way of resolving disputes or claims. It provides parties with an opportunity to negotiate a mutually agreeable resolution to a dispute rather than having to resort to court adjudication. The mediation is conducted by a neutral third party called a ‘mediator’ who seeks to identify the parties’ interests (rather than their legal rights) and to bring them to a consent settlement that will accommodate those interests. The mediator is neutral and does not decide which party is right or wrong or tell you what to do. The mediator facilitates communications, promotes understanding, focuses the parties on their interests and seeks creative solutions to problems that enable the parties to reach their own agreements. Should you be interested in utilising mediation for your legal matter, then please complete your free legal enquiry form on the left, or click here. In most cases, a successful resolution through mediation means all parties save costs. You also have the opportunity to reach more flexible solutions to suit your needs. Mediation is usually quick - helping you to get an early resolution before things get out of hand. Mediation gives you more control over the process and the outcome. This means that the agreement is more likely to be honoured. The mediation is confidential and any agreement can also be kept confidential by agreement. Mediation is becoming more and more popular in resolving disputes. The reality is often that no party in a dispute really wants to go to court, which is increasingly thought to be inflexible, uncertain and costly. An answer is to involve the disputing parties in a process which is facilitated by a neutral third party, and which enables those parties to reach their own terms of settlement. This process is called mediation. agreement between parties for the payment of an amount of money by one of the parties in full and final satisfaction of the matter, with the payment of the sum of money being within a time frame agreed between the parties. Mediation allows for parties to reach agreed settlements with solutions of a wide and varied nature depending on the proceedings. Mediation is usually quick - helping you to get an early resolution before things get out of hand. At the very least, mediation should assist in defining the issues that need to be resolved should the matter proceed to the next step and eventually trial. You have more control over the process and outcome. This means that the agreement is more likely to be honoured. a combination of the above alternatives. There can be little more damaging and socially destructive than protracted litigation - it terminates businesses, destroys marriages, and damages health. A mediation can be set up in a matter of weeks, if not days. It thereby avoids the many undesirable consequences of protracted litigation, and prevents the inevitable drain on costs and resources. In litigation, parties relinquish control of their dispute: the lawyers and the Courts control the procedure, the level of disclosure, the evidence to be given, and the Judge has exclusive control of the outcome. In mediation the parties retain full control of the entirety of their dispute, allowing them to reject settlements with which they do not agree, and enabling them to reach more creative settlements or just ‘good enough’ settlements with which each party can readily live. The mediation process is entirely informal, with no rules of law or procedure - other than confidentiality - and consequently parties find it considerably less stressful than going to court. Parties are unfettered in what they can say, and who they may bring to the mediation, and what documents they wish to produce or disclose. Parties who end up in court, with a winner and a loser, will rarely be able to continue any commercial, contractual or other relationship. Mediation on the other hand, allows parties to reach settlements with which they are both content, thereby enabling them to continue with pre-existing business or other relationships. Litigation often attracts unwanted publicity, with parties obliged to ‘wash their dirty linen in public’. Mediation is totally confidential with each party retaining complete control over whether and what matters can be revealed. Confidentiality clauses are also frequently included in settlement agreements. Parties often feel overwhelmed when fighting large corporations - at mediation they are simply individuals around the table, and an effective mediator can protect parties against such power imbalances. It allows the parties their day in court more effectively than by going to court itself by allowing each person in dispute to be truly 'heard', to have their full and frank say to the mediator as well as to the other side in a 'safe' environment. It also facilitates apologies to be given or explanations made - which is often what parties really want. Alternative dispute resolution (ADR) includes dispute resolution processes and techniques that act as a means for disagreeing parties to come to an agreement short of litigation. ADR basically is an alternative to a formal court hearing or litigation. It is a collective term for the ways that parties can settle disputes, with (or without) the help of a third party. ADR is ways and methods of resolving disputes outside the judicial process (formal litigation – court). ADR is more efficient and effective than the courts in providing justice. The main purpose of these Rules is to ensure that each case is resolved in a just and timely manner at a cost to the parties and the court that is reasonable in the circumstances of the case. The Leases (Commercial and retail) Act 2001 replaces the Tenancy Tribunal Act of 1994 and the Commercial and Retail Leases Code of Practice in regulating commercial and retail leases in the ACT. An Act which establishes Community Justice Centres that provide mediation services in connection with certain disputes. An Act which makes provision for mediation concerning farm debts. This Act provides for the mediation of disputes as an alternative to litigation in Tasmania. The purpose of this Act is to establish a Victorian Civil and Administrative Tribunal. The Act consolidates and amends the law relating to the sentencing of offenders in Western Australia and in particular provides for the provision of mediation reports if a court considers it would be assisted in sentencing an offender by having such a report. If you need legal advice regarding Mediation Services Law, then please complete your free legal enquiry form on the left, and we will put you in touch with a Mediation Services Law lawyer nearest you, who can help you with Mediation Services Law. Our free legal enquiry service for Mediation Services Law extends to all suburbs throughout Australia. These news come from Mediation & Arbitration Chambers. 1. This Act may be cited as the Courts (Mediation and Arbitration) Act 1991.
on a day or days to be fixed by Proclamation. Royal Assent, it commences on the first day after the end of that period. 72 and 165, 1984; Nos. 65, 166 and 193 of 1985; Nos. 76 and 168, 1986; Nos. Nos. 115 and 138, 1990.
carried out as a result of an order made under section 19D;". mediator in settling a dispute to which the person is a party. mediator to mediate the dispute in accordance with the Rules of Court. (other than prescribed proceedings) could be instituted under this Act. thinks appropriate to facilitate the effective conduct of the mediation. mediate the relevant disputed matter in accordance with the Rules of Court. appropriate in relation to the proceedings. thinks appropriate to facilitate the effective conduct of the arbitration. has effect as if it were a decree made by that court. affirming, reversing or varying the award. of the Family Court for review of the award. any part of them or any matter arising under them. of a State or Territory, to take affidavits. Family Court has in performing the functions of such a Judge.". "(da)   a Principal Director of Mediation;". (ab)  an approved arbitrator; or". awards under section 19F or 19G;". matter carried out as a result of an order made under subsection 19D (1);". No. 157, 1989; and Nos. 11, 70 and 115, 1990.
performing the functions of a Judge.". (1) "(whether carried out under an order made under section 53A or otherwise)"
it has resulted in an agreement or award and where it has not.". Mediation is a way of helping people settle a dispute without having to go to court. Our trained mediators act as an impartial third party and .. Mediation is a process where a neutral and independent person (a mediator) helps the parties in a dispute to reach their own solution. Mediation. How are Federal Court cases managed? In the Federal Court judges actively manage cases so that they are quickly and efficiently ..
Strata and Community living often brings people of diverse interests and backgrounds close together. Disagreements and disputes can sometimes arise. It is an industry based scheme which relies on voluntary compliance by mediator organisations that agree to accredit mediators in accordance with the requisite .. Under the Strata Schemes Management Act 1996 and the Community Land Management Act 1989, mediation is the preferred way to resolve disputes once the ..
At VCAT, mediation plays an essential role in resolving a wide range of disputes informally and cost-effectively. Generally referred to as a form ..
'Farm debt mediation' is a structured negotiation process in which the mediator, as a neutral and independent person, assists the farmer and the creditor in ..
On 1 December 2011, the Victorian Government commenced the Farm Debt Mediation Scheme. The Scheme makes it compulsory for banks .. These Mediation Guidelines set out principles of best practice and standards of behaviour which parties to mediation in the National Native Title Tribunal (the .. Containing tips on how you can talk with your neighbour and information about how mediation may help you, the Neighbourhood Mediation kit is a valuable ..
You can watch a 15 minute video to help you get ready for mediation. The video is called, "Working it out - through mediation". The presenter is ..
How to mediate; When to get help; What kids say about being a mediator; Dr Kim says .. Mediation is when you ask a third person to help you. However, if you feel mediation would help resolve your matter, you can call the Fair Work Inspector dealing with the complaint to request this. Introduction| What is mediation? | Who will mediate? | A summary of the advantages of mediation | Will it cost me anything? | When is mediation used? Justice mediation is a face-to-face meeting between a person who has .. Specially trained mediators help to guide the discussion about the .. The Mediation landing page answers questions such as What is mediation?, Who pays for mediation?, and Why have a mediation? and also gives details of ..
VCAT is trying out a new method of mediation in some small civil claims. In selected cases, there will be a short mediation on the day of the .. The court, police or prosecutor can suggest justice mediation as an alternative way of dealing with a complaint. Defence solicitors or barristers .. Details the kinds of training courses the Dispute Settlement Centre of Victoria offers, including forms to download and contacts for further information. by I Wolcott - - Mediating divorce by Ilene Wolcott, Family Matters no.28 1991. Chapter 4: Public sector mediation. NSW Ombudsman Complaint Handler's Tool Kit 2004. 217. Chapter 4: Public sector mediation. Introduction. Welcome to the ACCC > The ACCC > Consumer & business directory > Consumer & business directory quick links > Office of the Franchising Mediation Advisor ..
Information on access to mediation to resolve some non-violent disputes. If the matter is suitable for mediation, our staff will then contact the other party, explain about mediation, and invite them to participate. Mediation ..
Law Institute of Victoria ADR Mediation Service All mediators listed have fulfilled the necessary criteria to be approved as mediators by the Law Institute of ..
is a process in which a neutral third party facilitates the parties' negotiation of the dispute, by assisting them systematically to identify what has brought .. Mediation is more in tune with the traditional ways of settling disputes in Aboriginal and Torres Strait Islander communities than the legal and .. Mediation process 2011 applies to claims exceeding $30000. Court will advise parties of intention to refer matter to mediation and parties have ..
What mediation and ADR facilities are available at the Court? How do parties organise a mediation conference at the Court? What preparation .. Welcome to the ACCC > The ACCC > Consumer & business directory > Consumer & business directory quick links > Community Mediation Services of SA .. Under the Farm Debt Mediation Act 1994 "mediation" means mediation by a .. Mediation is a co-operative problem-solving process, designed to help the parties ..
Our dispute resolution centres offer mediation as an alternative. Mediation is a free, confidential and voluntary dispute resolution service. At justice mediation, you are expected to accept responsibility for your behaviour and acknowledge the impact that it has caused the .. The purpose of mediation meetings on planning applications is to ensure all parties are aware of each other's issues and to attempt to resolve grounds of .. This page describes the mediation services for victims and offenders. During mediation, all parties are asked to identify the core issues to the dispute and to freely discuss their positions. A skilled mediator will assist the parties to ..
Each year less than 3% of civil actions commenced in the District Court are finalised by the parties going to trial. While some actions are resolved through a party .. The purpose of this Practice Note is to explain the Court's mediation procedures and its expectations of parties in proceedings that have been .. If you are a complainant, you can discuss justice mediation with the .. For enquiries about justice mediation contact the Justice Mediation team .. The role of mediation in franchising disputes; Office of the Mediation Adviser; Preparing for mediation and what to expect; Who pays for the cost of mediation ..
A modest fee applies to mediation when conducted by a registrar and is ordinarily paid by the applicant, unless otherwise ordered. Justice mediation gives you a chance to talk about the hurt, loss and inconvenience the defendant's behaviour has caused, and your feelings ..
involves a meeting conducted by a trained and accredited impartial mediator. Mediations are confidential and participation is voluntary for all ..
My family is separating — what now? | Mediation and family dispute ..
and counselling may not be suitable for situations involving domestic violence and you should discuss your options with the mediator or ask for an .. Mediation. Mediation is compulsory for most strata and community schemes disputes before an application can be made to the CTTT. NSW Fair ..
Requests for Victim Offender Mediation can be received from either the victim of the crime, the family of the victim and/or the offender. Mediation brings together the parties to a dispute for a confidential meeting with .. Why use mediation? Mediation is a flexible and informal approach to settling .. The Farm Debt Mediation Scheme provides new obligations for creditors and new rights for farmers. Mediation is people coming together to discuss the issues in dispute. .. A mediation allows for people to reach their own commonsense solution to their ..
You are here: Printable version Mediation The Department of Corrective Services offers mediation between victims and offenders through the Victim-offender .. Mediation process model. Definition. Mediation is defined by the Tribunal as: A process in which the parties to a dispute, with the assistance of ..
Community Justice Centres (CJC) provides free mediation services throughout NSW. Mediation is an informal, problem-solving process in .. If a farmer requests mediation but subsequently refuses to mediate, this Act ceases to .. A creditor who has received a request from a farmer to mediate may, ..
Bring the workbook to your mediation to ensure you cover all the important issues. .. to prepare for your mediation, read and complete the following activities. 3 ..
Forms for mediation: Forms for creditors initiating mediation: Forms for farmers initiating mediation. Mediation. Mediation is a voluntary and confidential process we can help you use to resolve workplace complaints. It involves a meeting ..
Before commencing mediation the mediator will consider the best process for mediating your dispute, taking into account suggestions from all ..
Dispute resolution. Department of Justice and Attorney-General www.justice.qld.gov.au mailbox@justice.qld.gov.au. Frequently asked questions ..
General FAQs | Mediation FAQs | Mediation Training FAQs .. The DSCV provides mediation services, as well as training and accrediting mediators to national ..
agreement in a court-ordered mediation. .. Mediation is a process in which a neutral third party .. mediator helps the parties to identify what has brought .. Mediation usually involves people meeting face to face in the presence of a neutral third person. This person listens to each party, helps them .. Mediation is a structured negotiation process in which an independent person, known as a mediator, assists the parties to identify and assess .. Mediation during the court process - Community Justice Centres .. Mediation at CJC; Why use mediation? When can mediation help? .. Often that agreement is worked out at mediation or through a negotiation .. Frequently asked questions about the DSCV mediation training program. .. mediation is recognised as an effective way of resolving disputes and conflict .. Mediation starts with the mediator explaining the process. It is conducted "without prejudice". This means that anything said at mediation can ..
Adolescent Mediation and Family Therapy services aim to prevent family breakdown by working directly with young people and their families or .. The Ombudsman may, at any time or at the request of a party to a complaint, decide to deal with the complaint by conciliation or mediation. Conciliation or ..
Family and child mediation is a voluntary process that enables parties to reach .. child mediation as a method of primary dispute resolution in family law disputes .. If the parties to a lease cannot resolve a dispute through their own negotiations, either party may apply for mediation using the independent mediation scheme ..
Telephone assisted mediation - Community Justice Centres New ..
Types of Mediation Conference. The usual form of mediation is a pre trial conference in the presence of a Registrar. The purpose of such a conference is to allow ..
the Community Land Management Act 1989, mediation is the preferred way to .. What is mediation? Mediation is an informal negotiation process in which a ..
Who's who in a mediation? - Community Justice Centres New South ..
Mediators. Mediators are professionals trained to help people resolve their disputes. They run the mediation process. Unlike a judge in court, ..
Authorised by the Chief Parliamentary Counsel. Authorised Version i. Farm Debt Mediation Act 2011. No. 42 of 2011. TABLE OF PROVISIONS. Section. Page ..
CJC provides free mediation to help people in disputes reach an agreement. Disputes and .. CJC mediators are trained to help people in dispute find a solution. by T Bauman - - Final Report of the Indigenous Facilitation and Mediation Project July. 2003-June 2006: research .. Matching interventions with party needs: beyond mediation. Mediation is an informal problem-solving process in which the parties in dispute meet with the guidance of two skilled and impartial mediators, ..
Mount Isa. Since opening, approximately 450 mediation sessions have been held. .. What is said at mediation is confidential, but parties sign a waiver which .. This page details the reparative process regarding mediation between offenders and victims. is an ADR process where an independent third party, the mediator, assists the people in dispute to identify the disputed issues, develop options, ..
Pre-Hearing Conferences and Mediation - Magistrates' Court of .. Outlines the procedure for civil pre-hearing conferences and mediations. Mediation for Aboriginal and Torres Strait Islander people ..
CJC has services to help Aboriginal and Torres Strait Islander people solve their disagreements. Aboriginal mediators are available to help you ..
To find out more about the mediation process and to download the Office of the Small Business Commissioner's Guide to Mediation, please click here. Everyone hopes to reach an agreement at the end of a mediation session. In fact, around 80% of CJC clients reach an agreement. Even if an ..
As a program area of the RTO, the Dispute Settlement Centre of Victoria (DSCV) is authorised to deliver six units from the CHC4230, Certificate IV in Mediation. mediation schemes, the use of which is incorporated into their general case .. Bar's Mediation Centre.7 The peak body representing the legal profession in .. Under the Farm Debt Mediation Scheme mediation services are provided by the Small Business Commissioner. Facilitating timely and effective outcomes. Mediation is a way of managing negotiations to help reach agreement. Native title mediation. An introduction to .. Mediation. What cases are suitable for mediation? All cases, regardless of their complexity or number of parties, are eligible to be referred to .. The Supreme Court of Victoria website outlines mediation services that are available at the court. Mediation is a process of dispute resolution in which the ..
Research Project - Mediation in the Supreme and County Courts of ..
A report of a research project into the use and effectiveness of mediation in the Supreme Court and the County Court. Victim-offender Mediation – Information for lawyers. A potential benefit for your client? A mediation officer from the Victim-offender Mediation Unit (VMU) is ..
2 n = 71, of those 14 were also accredited mediators. Lawyers were recruited by mass mailout to all recognised family lawyers in Queensland. 3 n = 24, of those ..
NO SQUARE PEGS IN ROUND HOLES: WHAT MEDIATORS WANT ..
- To encourage lawyer participation, mediators use lawyers as a legal database, .. What do mediators do if a lawyer attends and participates in a mediation? Lawyers are only allowed to attend with the approval of the mediator. Lawyers can, however, play a beneficial role in assisting a worker to articulate their dispute ..
Search Justice and Attorney-General .. Sorting out problems with neighbours · How mediation can help in workplace .. More on Neighbourhood mediation kit. "I'm profoundly grateful for my experience as a mediator, arbitrator and lawyer on three continents – it's brought a dedication to lifelong professional study on ..
Lawyers are not usually required at CJC mediation because it is not a legal process. It is an opportunity for you to talk directly to the other ..
Conference. The most important thing a person can do to prepare for an ADR conference is to meet with their lawyers well before the date on which ..
mediation wastes time and money, and may make it harder to reach agreement. Discuss with your lawyer early in the action whether your matter is suitable for ..
Book review - Family Matters journal 1996 - Australian Institute of ..
by K FUNDERdered the community – mediators, lawyers, counsellors and clients – a signal service by their clear and critical approach to the area, and by their acceptance of ..
No need for lawyers although sometimes it may be advisable for the parties to receive legal advice about their rights before the mediation. In court the main .. Complaints About Lawyers - Legal Services Commissioner : Lawlink .. Complaints About Lawyers .. Most consumer disputes are handled by OLSC "Mediation & Investigation Officers" ("MIOs") at the request of ..
assistance (mediators, lawyers and judicial officers) to reflect, from a more informed perspective, on what kinds of living arrangements may or may not support ..
A mediation can be held at any time suitable to the parties. Mediators can be qualified lawyers, non-lawyers or Court staff. The mediator brings the parties .. The role of lawyers in mediation will usually depend on the type of case. For example, in disputes between individuals such as neighbours, there will be many ..
the legal community – including mediators, lawyers and judges – makes every effort to ensure that ADR is integrated into court processes such ..
Key players in mediation include lawyers. • Lawyers attitudes, practices and "voice" in accreditation and standards is significant in the development of mediation. mediator or case appraiser. You and the opposing lawyer negotiate the fees with the mediator or case appraiser and arrange for them to be paid before the ADR ..
is a process of dispute resolution in which the mediator is neutral and independent. Mediators can be qualified lawyers but they can also be ..
Mediators are usually appropriately qualified lawyers, non-lawyers or Court registrars. The Chief Justice certifies registrars or other officers of ..
You can get legal advice before mediation, during mediation (by telephoning a lawyer in a break) or between two mediation sessions. CJC staff ..
Focus groups – Disputants, mediators and lawyers .................. 40. Analysis and definitions........................................ 42. Mediation ..
Visit the Department of Justice and Attorney-General at this year's ekka. .. We employ mediators to provide free mediation services to people in ..
by I Wolcott - - The Commonwealth Attorney-General's Department has allocated $1.105 million in the 1990-91 budget for family mediation with an emphasis on 'couple ..
LRRES - Clarke & Barwood Lawyers 03 5231 5155, COUNSEL - Mr P O'Shannessy Notes :Mediation with Mr Wood of Counsel on 14/2/12. Commencing ..
A party represented by a lawyer who wins a case in the Magistrates Court is .. The Civil Division of the Magistrates Court has an option of mediation as an ..
Apart from the mediation program of the Family Court, 17 community organisations are approved and funded by the Attorney-General to provide family and child ..
Chief Justice at the opening of the SCV Mediation Centre, The following .. The speech 'Victorian Women Lawyers 10th Anniversary' was given by the Hon. the Director has decided that we do not want agreements reached at a mediation session to be legally enforceable unless there are lawyers present for each .. They are qualified lawyers with many years' experience as mediators. The Registrar will conduct the formal pre-trial conference as he/she considers appropriate .. Retired judicial officers, lawyers or other professionals mediate some of the more complicated commercial disputes. The parties jointly appoint and pay for these ..
Lawyers may be present in a mediation as agents or representatives, support people and/or advisors. The arguments above about the general ..
ing having a support person or a lawyer present, or conducting the mediation on a shuttle basis where the parties are located in separate rooms and the media- .. Preparing For Court Without A Lawyer Mediation Vexatious Litigants Costs Assessment Scheme. Criminal Matters. General Procedures .. It enables you and the other party to meet with two neutral mediators .. on mediation, contact the Department of Justice and Attorney-General's ..
engaged consultant / lawyer as well as attend mediation sessions and hearings as far as practicable, to defend the. Council's decision. Elected .. This was the experience of many lawyers and judges. However the introduction of the compulsory mediation program in the Family Provision ..
You can gel legal advice before mediation, during mediation (by telephoning a lawyer in a break) or between two mediation sessions. CJC staff can give you .. The information in this fact sheet applies to solicitors and barristers acting .. with them — the client's options are mediation or costs assessment. U Aboriginal Mediation Service for Aboriginal and. Torres Strait Islander People. Contact. Aboriginal Mediation Service. Department of the Attorney General ..
.. Contact us · Help. Search Justice and Attorney-General .. If the defendant pleads guilty the judge will listen to submissions from both lawyers. The judge may .. 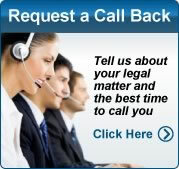 Mediation · Legal Aid Queensland · Victim Assist Queensland .. Please note: Lawyers are not permitted to attend mediation conferences except where agreed to by the mediator. The mediation conference. When you arrive: .. Response to the Victorian Law Reform Commission's Information ..
orders, where mediators, lawyers and child consultants work more closely together and where court orders may become more complex - conditional on supports ..
reported that there had been no growth in the proportion of lawyers recommending mediation to their clients over a 10 year period. The evaluators concluded .. Complaints against lawyers · Legal Practitioners Disciplinary Tribunal .. Family dispute resolution and Legal Aid · Mediation and Counselling · CHILDREN AND ..
No square pegs in round holes: what mediators want lawyers to do in mediations and how they get it – Ms Cheree Sefton, Doctoral Candidate, Australian .. Mediation : a guide for Victorian solicitors / .. prepared by the .. Available in the National Library of Australia collection. Format: Book; 53,  p. : form ; 27 cm. for mediators. 6.7 The Attorney-General ask NADRAC to report on: the need for confidentiality and non-admissibility in different ADR processes; and. – the need ..
Lawyers may represent the parties if the mediator approves. Other people may also join the mediation if the mediator believes they have .. Furthermore, complaints against lawyers acting as arbitrators or mediators can only be dealt with when the conduct complained of is conduct .. The latter, generally known as "caucusing", involves the mediator meeting privately with a party both with, and without, a lawyer present. Should I have a lawyer? .. Mediation is available when all parties agree to participate. .. The mediator will not force you into an agreement. Parenting and divorce - Family Matters - Journal article - Australian ..
On the other hand, an orientation which starts with an acceptance of the presence of children as a right, would place the onus on parents, mediators, lawyers ..
(Magellan judges, registrars, mediators, lawyers, police, child protection department etc.) which also found Magellan to be a successful case-management ..
by AFR Clearinghouse - 2010 The study involved interviews with 47 children and young people, 90 parents, 42 lawyers, 41 mediators and counsellors, and 20 judicial officers ..
VCAT may provide mediation even if you have already tried other forms .. At VCAT, if the case is not complex, lawyers are usually not allowed ..
A number of our lawyers are recognised as accredited mediators by various professional associations. Also see Negotiations and Dispute resolution and ..
Community Mediation Services has been in operation for a period extending many years and is funded by the State Attorney-General's ..
Co-mediation is a process in which the participants to a dispute, with the .. the participants to a dispute use representatives (for example, lawyers or agents) to ..
Parties are required to pay their lawyers as well as any associated legal costs in relation to preparing for and attending mediation. How Are .. In making the appointment, Commonwealth Attorney-General the Hon .. in Government disputes and inquiries, as well as in the practice of mediation generally. conducted by a variety of different mediators, including court registrars, private practitioners (including lawyers) on a court or tribunal panel, and government-run ..
For example, Singapore will allow foreign lawyers to practise local law in undertaking mediation and arbitration work in an effort to promote ..
2 days ago – Room 2.6 - Mediator to be allocated .. Room 2.4 - Mediator R. Goldstein .. PM J132/2011 The Pitch Management P/L v Dermenzies Lawyers ..
ADR includes direct unassisted negotiation between people, lawyer to lawyer negotiation, mediation, conciliation, expert appraisal, expert ..
To deliver professional and effective mediation services, training and education, .. Nationally Accredited Mediator .. Partnership of Campbell Muscat Lawyers. mediation. Lawyers are not required as mediation is not a legal process. People involved can seek legal advice before mediation or during breaks. Mediators ..
5. changing the term 'legal practitioner' to 'lawyer' as a consequence of the ... 1993 by the Native Title Amendment Act 2009 (the NTA Act) relating to mediation; ..
by TH QC - At the mediation, parties are encouraged to speak for themselves rather than depend upon their lawyers. This should help the parties to talk about the issues that ..
they would NOT have been better off using a mediation service. One third said they WOULD have been better off. 17% of those who left it entirely to their lawyers .. Section on Mediation and Community Justice. Centres contributed by Gina Vizza, NSW Attorney General's Department. Section on major project approvals (p ..
FDR is the legal term for services (such as mediation) that help couples .. and individuals such as lawyers, social workers or psychologists. the Institute of Arbitrators & Mediators Australia (IAMA) in 1975;3 the. Association of Dispute Resolvers (LEADR; formerly known as "Lawyers. Engaged in .. In 2008, the Attorney-General asked NADRAC to enquire into .. practice. ADR terminology tends to be used inconsistently, for example, the term 'mediation' is .. The OLSC offers costs mediation as a form of dispute resolution for .. legal services and covers fees charged by the lawyer and disbursements. Completed NSW Solicitors Admission Board Course - Diploma of Law and the completion of four years as an Articled. Law Clerk. MEDIATION. Appointments ..
by AFR Clearinghouse - 2010 Intake is used to determine suitability for mediation, but it also provides an .. and goodwill between community-based lawyers and FRC staff. R Field, 'A Feminist Model of Mediation That Centralises the Role of Lawyers as Advocates for Participants who are Victims of Domestic Violence' (2004) 20 .. Mediation before litigation . .. Mediation instead of lawyers.....................................................60. Conclusions . From 1980 to 1989 he worked in the Commonwealth Attorney-Generalâ€™s .. He is a former Chairman of the Institute of Arbitrators and Mediators Australia .. Except for solicitors who mediate,17 there do not appear to be any formal mechanisms for dealing with or reporting on complaints against ..
- However, the main focus of this response is directed to mediations and, in particular, those where the mediator is a lawyer. 5. It is understood that the terms used ..
Slide 1 'Research into the Teaching of ADR in Selected Australian ..
- One participant in this study noted the colonisation of mediation by lawyers: • Some firms in Melbourne who don't even take their clients into mediation, they ..
Court personnel, counsellors and mediators are required to report .. practitioners or arbitrators, and lawyers independently representing ..
A power of attorney (q.v.) or guardianship which continues to have effect even if the .. mediation. Form of dispute resolution where an impartial third party helps .. Phone. Fax. Address. Postcode. COST DISPUTE – APPLICATION FOR MEDIATION .. The lawyer has issued a summons to recover costs. ❑ Yes ❑ No. The total ..
Before mediation is ordered, the registrar will inform the parties by written notice .. All the parties, their lawyers, and any other person who has the authority to ..
their issues, their actions will very often preclude such an outcome. When mediation fails, lawyers usually suggest litigation as the only available avenue for their ..
lawyers was chosen for in depth interviews. * Associate Professor in Law, Charles Sturt University; practising mediator accredited to the National. Standard; also ..
As the mediation is designed to be a discussion between the landlord and the tenant, it is not usual for lawyers or other advisors to be present at the mediation. is a process managed by a dispute resolution practitioner called a .. the other people involved, as well as any lawyers or experts involved, all sign an ..
What happens at mediation - Federal Court of Australia - information .. The mediation starts with the mediator explaining the process to the parties. The mediator may ask the parties and their lawyers questions. This page details the reparative process regarding mediation between .. Victim-offender Mediation - Information for lawyers (PDF 92 KB) ..
Acting effectively for a client at a mediation / [C.J. Leggat] | National ..
APA Citation. Leggat, Craig James. & NSW Young Lawyers. 2011 Acting effectively for a client at a mediation / [C.J. Leggat] NSW Young Lawyers, Sydney : .. Mediation and the courts. The New South Wales Supreme Court Registrars, although not judges, are qualified lawyers. Many parties, particularly in complex ..
by FL Council - - to mediate in such cases, the lawyer should discuss the risks and whether any .. suggest that seeking advice from lawyers between mediation sessions can be ..
(court annexed) Pre-lodgement mediation .. If you don't have a lawyer, you should report to the Court Staff in the nominated Court Room, 5 minutes ..
- Ms Kathy Douglas noted that mediation is evolving. Lawyers are key players and have a strong impact. There is a need for teaching to include consideration of .. It is important to see a lawyer or apply for legal aid as soon as possible .. child support assistance, social security advocacy and mediation. Resolution Centre in the Department of. Justice and Attorney-General, and thus are independent of the QPS.) Mediation aims to assist the parties to discuss the ..
to undertake their duties at the higher appropriate court level. Professional mediators [should] be used, before lawyers become involved. This would reduce the ..
Lawyers are not required, as mediation is not a legal process, but if you would like a lawyer to attend, please discuss this with our staff. Community Justice ..
(The Court recommends you discuss mediation confidentiality with your lawyer). • Satisfaction: because the parties decide and agree on the outcome of their .. Shared post-separation parenting: Pathways and outcomes for ..
We thought it made a lot more sense to do that rather than throw money at lawyers. Others sought mediation or FDR to assist negotiations and ..
revoking an attorney's appointment, or varying, suspending or making another .. the Guardianship List may in suitable cases direct that there be mediation by a ..
mediator. Lawyers are [able / not able] to negotiate on behalf of the complainant and/or respondent. Mediation may occur either before or after an investigation of .. Specific model of mediation involving lawyers? – Some variations are already in existence, for example, Legal Aid. Commission conferencing, but the model is ..
What is this thing called collaborative law? - Family Matters No 85 ..
Collaborative family law practice creates a new role for lawyers that includes skills similar to those used in mediation, whereby lawyers work .. However, the lawyer as advocate presents particular difficulties for native title mediation. The lawyer as adviser is a more constructive and productive role and is ..
list from information publicly available regarding lawyers practising in. Hong Kong. By providing this .. assist with mediation in disputes. The HKTB can be .. Prior to the court sitting, the elders from Mediation and Justice Committee met at the .. During two days of court sessions the elders discussed with lawyers, .. The costs of solicitors attending at mediation are "costs in the cause", which means that whoever is unsuccessful will usually pay the costs of ..
by J Cashmore - - with parents, children, family consultants, mediators, lawyers and judges.1. The 90 parents and 47 children and young people (ranging in age from 6 to 18 ..
a mediation model that does include lawyers where for example it is considered that the involvement of lawyers may assist in addressing power imbalance .. CONSULTING IN CONFLICT EMPLOYER VIEWS ON THE .. However, most mediation continues to be internally conducted by the HR manager. • Lawyers and employer association representatives are the most frequently ..
a mediation process. • The roles and functions of mediators. • The roles and functions of support persons, lawyers and other professionals in mediation ..
issues about who is the right client, who is the right lawyer and ..
- In New South Wales Legal Aid is trialling having lawyers available to clients for Family Relationship Centres mediation processes. Developing inter professional ..
Joint Submission NTFSR 14 Oct 2011.doc - Attorney-General's ..
Rich Text Format - the PGA instructs solicitors in native title matters only where substantive mediation or litigation is anticipated to commence, until substantive ..
by F Kinghamreporting;. • Records information in a format that can be easily and flexibly interrogated;. • Keeps surveys of parties, lawyers and mediators simple and focussed; ..
General FAQs | Mediation FAQs | Mediation Training FAQs .. our DAOs will refer you to other services such as councils, police, lawyers and courts. Contact .. In early 1990 the Aboriginal Coordinating Council in Cairns approached the Attorney-. General seeking assistance in developing a mediation service for .. The Chairperson Victorian Planning System Ministerial Advisory .. Apply to VCAT for mediation then if not agreed VCAT can issue a directive. b. Apply to VCAT for mediation with Lawyers on either side. c. Apply to VCAT for full ..
prohibitively high cost of lawyers and litigation. Current avenues of access to franchise mediation data. Three sources: 1. Surveys of franchisors ..
8.2 Role of Lawyers in Mediation (Included in Meeting Papers is the standard letter of notification to parties of a registrar mediation (issued in .. Informal discussions were held with numerous mediators, ADR program and court administrators, lawyers and others interested in the use of ..
ADT: Equal Opportunity Division - Adminstrative Decisions Tribunal ..
Generally, each party pays their own legal costs if lawyers represent them at the .. The mediation is a confidential, informal meeting where an ..
Referrers (such as courts and lawyers) similarly may not trust the quality of mediation services offered and so either (a) establish their own formal or informal ..
Lawyers and Family Dispute. Resolution in Australia. Ms Becky Batagol. Faculty of Law. Monash University. Lawyers Post-ADR: Mediation and Collaborative ..
- by N Alexander - Lawyers Post-ADR: mediation and collaborative law 21. Associate Professor Anne Ardagh & Guy Cumes 21. Stressors and Coping: what do mediators say? 25 ..
Lawyer assisted mediation. Screening. Experience of FDR practitioners ... non litigious, non lawyer assisted form of mediation. In some instances, commissions ..
CURRICULUM VITAE Name: (Richard) Ian HANGER AM, QC Date ..
2000 Appointed mediator for International Court of Arbitration for Sport (CAS/TAS). 2004 Appointed by Australian Attorney General as mediator member ..
Cooperation and Coordination: An evaluation of the Family Court of ..
by DJ Higgins - 2007 - are provided to the Court or the Independent Children's Lawyer. (ICL). Family Consultant One function of the Family Court of Australia's Mediation Service ..
For example do the parties want an evaluative or facilitative mediator and do the lawyers believe that an evaluative pr facilitative process is ..
by GJ Koppenol - There are 3 categories of referee non-presiding members— mining, mediation and indigenous issues. The mining and mediation referees must be lawyers with .. The Judge may ask the parties to attend a mediation conference. .. You do not need a lawyer to appear in the Federal Court. You can be ..
a business centre of the Department of Attorney General and Justice. CJC Mediator means a person appointed as a mediator for CJC under the. Community ..
- Lawyers and Family Dispute Resolution in Australia. Ms Becky Batagol. Faculty of Law. Monash University. Lawyers Post-ADR: Mediation and Collaborative ..
Australian Corporate Lawyers Association .. Advantages and Disadvantages of the Adversarial System in ..
lawyer the secret compilation of a file with documentary evidence which .. Alternatively the bemiddeling in strafzaken (mediation in criminal cases) procedure ..
most lawyers rated mediation as effective to highly effective. Industry dispute schemes also show a high level of satisfaction with the service provided.25 Most .. Furthermore, complaints against lawyers acting as arbitrators or mediators can only be dealt with when the conduct complained of is conduct which cannot be .. Member Institute of Arbitrators and Mediators Australia .. Dr Phil Evans is a lawyer and the course coordinator of the Graduate Certificate in ..
Harvard Program of Instruction for Lawyers – mediation and negotiation course (June 1994);. • Member ALRC working group – reference on the Adversarial ..
MEDIA RELEASE Hon. John Hatzistergos MLC Attorney General ..
Attorney General. Minister for Citizenship. Minister for Regulatory Reform. Embargoed until 5am Friday 18 June 2010. Mediation to resolve more child protection ..
- .. required for multi-disciplinary training involving lawyers, mediators and social scientists to promote improved understanding of the different but complementary ..
- For example, a number of solicitors complained that mediators had sometimes given clients misleading advice about their legal entitlements, while there were ..
Lawyers engage in public negotiation when they attempt to settle their clients' .. Other processes short of adjudication such as mediation and ..
mediator; g) advise the participants of the mediator's role in relation to the provision of advice or other services for example: i) if the mediator is also a lawyer, ..
- On the contrary, in Western Australia the assistance of respondent lawyers, many .. Any analysis of the management of claim mediations since 1994 should also .. Mediation - Appropriate dispute resolution ... representing a child in the Family Division but permits the Court to grant leave to a non-lawyer, ..
disciplinary action against the lawyer. "Consumer disputes"1 about lawyers are generally handled by Mediation and Investigation Officers of the Office of Legal ..
therapeutic jurisprudence will order an offender to take part in victim offender mediation. A lawyer who is acquainted with the range of options open to a client in ..
TO THE NSW YOUNG LAWYERS LITIGATION SEMINAR .. the process of mediation and other additional dispute resolution mechanisms. Sometimes this is done directly between the parties, or with the assistance of lawyers or a trained mediator or conciliator. The parties may work ..
16 Attorney-General's Department, The Contact Orders Program, p 6. 17 Unifam Counselling and Mediation, sub 505, p 7. 18 Unifam Counselling and Mediation ..
57 AS2. 58 CB. 59 EB. A solicitor took the sentiment further and stated that 'I don't think there's a lawyer in the country that takes mediation seriously': FS. 60 FB. gradually began appointing ADR-minded lawyers with established mediation practices and reputations to the bench, including myself in 1997. He has also been responsible for mediation of claims in South Australia in particular. Mr Sumner was Attorney-General for South Australia from 1982 to 1993. - The mediator be appointed by agreement of the parties or, failing agreement, .. any settlement and by the lawyers who have ultimate responsibility to advise the ..
Attorney General. Minister for Citizenship. Minister for Regulatory Reform. Embargoed until 5am Friday 18 June 2010. MEDIATION TO RESOLVE MORE CHILD .. The parties' solicitors should also attend unless prior arrangements have .. The parties' solicitors should forward to the Registrar, at least three .. The Family Mediation Centre (NSW). Mr Chris Hawke. The Institute of Arbitrators Australia (NSW Chapter). Lawyers Engaged in Alternative ..
Building an ADR Compass: Gathering Useful ADR Data on Where ..
statistical evidence that the mediation or neutral evaluation programs…significantly affected time to disposition, litigation costs, or attorney views of fairness or .. In some cases, a person may be able to have a second interview with the Legal Aid lawyer to cover a specific topic like what to expect at mediation, how to write .. I have been a mediator (full time) since 1999. As a Lawyer I acted for Farmers and Rural Financiers in regard to Farm Debt issues. I have an affinity with and an ..
Mediate Today Pty Limited. National Native Title Tribunal. New South Wales Bar Association. New South Wales Government (represented by Attorney General's ..
Victoria Legal Aid - Lawyers And Legal Services. .. person (someone who is not involved in the dispute), such as a mediator or advocate. District Court Mediators appointed by the Chief Judge for the period ..
- 4926 5811. 4929 5524. pcummings@newcastlechambers.com.au. Curran Jackie. Jackie Curran,. Lawyer & Mediator. DX 21706 NEUTRAL BAY. 99042885 ..
4.15 The concepts of 'judicial dispute resolution' (JDR) and 'judicial mediation' have recently grown in popularity. The Victorian Attorney-General has identified ..
Lawyers and other professional advisers are entitled to participate in the mediation proceedings. 4.4 The Conduct of the Mediation. (a) Opening statement ..
correspondence and perusals. 35. Attendance at conference whether by counsel or Aust lawyer. 149. 288. 411. 508. 635. 767. 892. Mediation ..
lawyer in your area. See the .. allowance for the matter to go to an independent third party for mediation if .. reached e.g. mediation or assisted negotiation ..
DAOs will refer you to other services such as councils, police, lawyers and courts. .. More information about mediation can be found on the Mediation page. - These provisions prohibit mediators (and in some cases staff relating to the .. mediators, including court registrars, private practitioners (including lawyers) on a .. Mediation. He was formerly, Special Counsel at Watts McCray Lawyers, Australia's largest family law firm, and an Associate Professor at the University of .. Even if agreement cannot be reached, mediation provides the opportunity to clarify the issues and understand each other's point of view. Do I need a Lawyer? Where each party has a lawyer they may choose to have them negotiate on .. Unassisted negotiation · Lawyer to lawyer negotiation · Mediation ..
mediation provides the opportunity to clarify the issues and understand each other's point of view. Do I need a Lawyer? Lawyers are not required as mediation is .. The engagement of lawyers occurs at all points along the process, too, from deciding to lodge an application for a determination, in mediation and in litigation. Publicly funded community mediation services, private mediators, conciliators and arbitrators provide. ADR. Specialist ADR providers include LEADR (Lawyers ..
- Even if there was a shift to more lawyer assisted mediation in Federal court and tribunal jurisdictions, thus giving clients access to advice before and during .. Implementing the Open Disclosure of medical errors in Australia - a .. Being told (not by a lawyer) that they should sue. ∎ Leibman and Hyman "A Mediation Skills Model to Manage. Disclosure of Errors and Adverse Events to .. Some lawyers appear to be sending victims of family violence to FDR services .. in family violence legislation empowering courts to refer parties to mediation, .. The Attorney-General appoints members to the council on the basis of their individual .. Mr Gormly is also a practising mediator, and has mediated numerous ..
stature of the mediator and is comparable to a lawyer's fee. The mediator will always quote a fee in advance and it will be included in the Mediation. Agreement. Funds are distributed by the Commonwealth Attorney-General's Department for family and parent/adolescent mediation to approved .. Pages - Government response to the Family Law Pathways Advisory ..
Australian Government: Attorney-General's Department .. counselling and mediation and the provision of information); and; other programs ..
Courts and Tribunal Services | Department of Attorney General and Justice .. main differences between arbitration and other forms of ADR, such as mediation .. Mediation sessions follow the principles of mediation developed by LEADR (Lawyers Engaged in Alternate Dispute Resolution). Report 67 (1991) - Training and Accreditation of Mediators .. TURNER J Neville, FOREMAN Lynne, Lawyers, Social Workers and Families ..
- We have commissioned a firm of mediation lawyers based here in Toronto to provide a number of in-house workshops on advanced mediation skills. directly. What is a lawyer or expert's role? Some mediations involve lawyers and experts. Some do not. Before the mediation your lawyer can: • listen to you .. If lawyers go into a pre-discovery mediation and it doesn't work, then it'll be "Oh I've been told mediation doesn't work" but if lawyers go into a pre-discovery ..
Registrars were qualified mediators and available .. and managing the resources the NSW Attorney .. Mediation is offered to parties in appeals identified ..
Helen Shurven appointed as new Tribunal Member - Talking Native ..
Attorney-General's media release on appointment .. and also a member of the Australian Mediation Association, Women Lawyers (WA) and the ..
overlaps and complements scaffolding in that .. Mediation of the learning experience is a form of intervention (in the form of auxiliary stimulus) by .. In mediation people get the chance to say what they really need to in a confidential, safe atmosphere with the presence of a mediator to keep the communication .. The older-person-centred mediation project is developing a model of mediation to prevent the financial abuse of older people by a family member. Peer Mediation Program - KidsMatter - Australian Primary Schools .. The Peer Mediation Program aims to reduce incidences of bullying by providing a school environment that is positive, caring, safe and friendly. Peer Mediation .. This unit introduces students to the principles of interest-based negotiation and mediation. The overall objectives are to give students some .. The Role of Recognised Mediator Accreditation Bodies (RMABs). .. Report to the 8th National Mediation Conference in Hobart in May 2006 on the. National ..
How can you make an appointment? Please ring the Office of the Public. Advocate (8342 8200 or country callers. 1800 066 969) or Relationships Australia .. Note: If taken in conjunction with the Mediator Assessment Course (listed below), this satisfies the .. Pre-requisites: Completion of the Basic Mediation Course .. Mediation is a voluntary and informal process by which parties in dispute, with the .. The parties agree to attempt to solve their differences through the mediation ..
under the National Mediator Accreditation System ('the system') to act as a mediator .. 4) Mediation can take place in all areas where decisions are made. Mediation - Courses and Programs - The University of Queensland ..
is an effective way of resolving disputes and is now used in most Australian courts and tribunals. In some areas an extensive pre-litigation scheme .. Skip to main content; Skip to global site navigation; Skip to local section navigation. SCRAM - Schools Conflict Resolution and Mediation. Site tools: A+ A- .. The University recognises mediation as an official avenue for resolving grievances .. accountable procedures as set out in the Grievance Mediation. Policy and .. Course description. An analysis of the law, principles and values of dispute mediation. The course will also seek to develop practical mediation skills. - In mediation, the IV and the mediator are associated (correlated), and the IV and the DV are correlated, and there is an implied causal path ("because") that links ..
She was previously a Head of School, Director of Postgraduate Studies, and the Program Director for 3 postgraduate programs in Mediation .. Relationship with other Acts PART 2 - MEDIATION 8. No enforcement action until notice of availability of mediation given 9. Farmer may request mediation 9A. It is not legally necessary to be "accredited" or "qualified" in order to practise as a mediator. Anyone can put up advertising and practise as a mediator in ..
We will then talk about mediation in more detail, including the types of mediation, statistical techniques for testing mediation and the underlying assumptions. We ..
3 Agreement to Enter into Mediation Process and Preparation . .. also to provide input that may be considered further by the National Mediator. Implementation ..
by R FIELD - Over the last three decades in Australia mediation has grown in popularity as a .. growth indicates an increasing awareness of the real benefits of mediation as ..
is an effective way of resolving conflict and is used in • most Australian courts and tribunals, • outside the courts in the community, family, financial and .. This unit provides comprehensive coverage of the theory and skills of Principled Negotiation and their applications in mediation. Students will: .. The object of the Bill is to address the issues and obstacles that would allow mediation to become the preferred resolution process for all stakeholders. The Bill .. The Role of Recognised Mediator Accreditation Bodies (RMABs)............. .. Report to the 8th National Mediation Conference in Hobart in May 2006 on the ..
4 days ago – The remaining mediators said they avoided the use of humour in sessions, or used it sparingly - only if the disputants introduced it or when it ..
Bucerius Summer Program in Mediation - Office of Undergraduate ..
Bucerius Summer Program in Mediation What: This intensive, 3-week program addresses issues ranging from claim management to the psychology of conflicts ..
Can Mediation be Tested with Cross-sectional Studies? 1. Can Mediation be Tested with Cross-sectional. Studies? Mediation. Mediation occurs when a variable (IV) affects another variable (DV) wholly or partly via its ..
Procedure for mediation of complaints. Version. 4.0. File number. 07/704. Short description. A procedure for the internal review of complaints made by students ..
is one of the most frequently-used methods of dispute resolution in contemporary legal practice. This course provides an introduction to the process of .. This unit offers advanced skills training in the related disciplines of negotiation and mediation as they apply in the legal context. Whereas the prerequisite unit, ..
by J Wade - 1997 - - note will comment on four recent evaluations of family mediation services in .. Federally Funded Family Mediation in Sydney: Outcomes, Costs and Client .. Meaning of satisfactory mediation 5. Application of Act 6. Enforcement action in contravention of Act void 7. Relationship with other Acts PART 2--AVAILABILITY .. It is a specialist qualfication designed to support the practice of mediation and co-mediation across a broad range of agencies, community ..
by N Alexander - 2003 - - Alexander, Nadja (2003) "Global trends in mediation," ADR Bulletin: Vol. 6: No. .. Mediation is a process both new, in terms of its emergence in the legal arena, ..
by I Field - 2009 - and, if so, how this will affect the development of judicial mediation in practice. The .. the issues raised by judicial mediation also reflect broader practical and ..
by C Baylis - 2005 - Baylis, Claire and Carroll, Robyn (2005) "Power issues in mediation," ADR .. mediation, the concern is with the parties' ability to meet their needs and further ..
by J Wade - 1994 - - convinced that mediators and negotiators who openly discuss sources of power .. B Mayer, "The Dynamics of Power in Mediation and Negotiation" (1987) 16 ..
by E Siddik - 2011 - The mediation outcome needs to be considered on its classification, reality and .. Doing so will make mediation even more attractive as a dispute resolution .. The concept of mediation has inspired many a treatise: treatises about the premise of mediation, the promise of mediation, the practice of mediation and the ..
Models of General Court-Connected Conciliation and Mediation for ..
tions offering conciliation or mediation are excluded from the analysis. I use the term .. mediation is used in connection with the courts is of importance. For the ..
Murdoch students win international mediation tournament | Murdoch ..
Murdoch University Law School students shone at the Tenth Annual International Law School Mediation Tournament held at BPP Law School ..
under the National Mediator Accreditation System ('the system') to act as a .. A mediation process is a process in which the participants, with the support of a ..
by H Hung - 2002 - Hung, Hin (2002) "Neutrality and impartiality in mediation," ADR Bulletin: Vol. .. In the mediation process the parties in .. trustworthy in order for the mediation ..
by L Boulle - 2010 - Boulle, Laurence and Wade, John, "Mediation workshop: Basic course .. MEDIATION IN RELATION TO OTHER DISPUTE RESOLUTION PROCESSES . 21 .. Certificate III in Home & Community Care (new) Certificate IV in Home & Community Care (new) Certificate IV in Mediation (new) Certificate IV in Youth Work ..
Moderation and Mediation in Regression. As we noted earlier regression is generally associated with the idea of creating a simple mathematical model of the ..
by M Creelman - 1999 - Creelman, Michael (1999) "Mediators' notes of the mediation - a mediator's .. mediators destroying their notes following .. what took place at the mediation. THE 'NEUTRAL' MEDIATOR'S PERENNIAL DILEMMA: TO ..
by T BOGDANOSKI - This article explores the vexed question of whether or not a mediator's intervention in the power .. mediation is fair, and being neutral, conflict with each other.1 .. The Centre for Peace, Conflict and Mediation, Hawke Research Institute for Sustainable Societies, studies all types of conflict and promotes conflict .. Registration Form. The Administrator. Faculty of Law. Dispute Resolution Centre. BOND UNIVERSITY Q 4229. Phone: 07 55952039. Fax: 07 55952036 ..
by J Wade Mediation—Seven Fundamental Questions. Professor John Wade. In parts of many countries, mediation is a commonly used process for .. If the complainant wishes, and the alleged offender agrees, an EOA can facilitate an informal discussion, or a mediation, between the parties. by B Rogers - 2004 - Rogers, Bernadette (2004) "Power in mediation," ADR Bulletin: Vol. 6: No. 9, Article 2. Available at: http://epublications.bond.edu.au/adr/vol6/iss9/2 ..
Poor quality mediation â•ﬂ a system failure? by T Sourdin - 2010 - Poor quality mediation — a system failure? Tania Sourdin. This Article is brought to you by ePublications@bond. It has been accepted for inclusion in ADR ..
LAWS6821 - Mediation-Skills & Theory - Future students - The .. Mediation is not simply a procedural template that can be learned and applied to every dispute with benefit. It raises interesting and complex .. Mediation is an effective way of resolving disputes and is now used around Australia in most courts and tribunals. An extensive pre-litigation .. This course provides an introduction to the process of mediation, the areas in which voluntary and mandatory mediations occur, and an introduction to the ..
University of South Australia > Course > Advanced Mediation .. The management and resolution of conflict in different contexts; narrative and transformative approaches to mediation; special issues in mediation including ..
LAW00216 Mediation Practice and Procedure - Southern Cross .. This unit will examine the practical application of mediation skills. The unit will examine in depth the relationships in mediation, as they relate to the mediator and .. Using Context to Enable Semantic Mediation in Web Service ..
by M Mrissa - 2008 - - tics attached to Web services, and we provide mediation mechanisms at the .. mantic mediation mechanism for Web service communities. This mechanism .. Advocacy and Evidence; Advice Writing Skills; Plain Writing Skills for the legal profession; Negotiation and Mediation Skills Training; Contract Law for Non- ..
by M Brandon - 2004 - Brandon, Mieke (2004) "Tips and traps in workplace mediation," ADR Bulletin: Vol. 7: No. .. What for one mediator is a tip can become a trap for another as ..
. Some kinds of grievance are more suited to resolution through the .. All requests for mediation must be directed to the Student Policy and Appeals .. Mediator accreditation in Australia is currently a very limited form of .. Anyone can practise as a general or family mediator with zero ..
Commercial mediators: do they have style? by R Hinchy - 1999 - Hinchy, Russell (1999) "Commercial mediators: do they have style?," ADR Bulletin: .. commercial mediation styles. .. whether commercial mediation practice is .. This subject deals with the principles, processes and practices of modern mediation, in the light of historic and comparative aspects of mediation and its ..
What is the future of professionalised mediation in New South Wales? What role will the legal profession play in influencing the course of mediation in the .. Sperm donation: The mediation of kinship and identity issues for the ..
by JS Rose - 2004 - (Suderland, 2003), exploring four phases of mediation, that of; alienation, translation, .. 74), the first stage of this mediation is that of alienation. Sunderland ..
by R Carroll - 2002 - Carroll, Robyn (2002) "Developments in mediation legislation," ADR Bulletin: Vol. 5: No. 5, Article 5. Available at: http://epublications.bond.edu.au/adr/vol5/iss5/5 ..
by M Brigg - 2011 - - In Western mediation practice, conflict and violence are typically seen as .. assumptions in mediation practice effects an operation of power, which is particularly .. Certificate IV in Mediation Course | Open Colleges Cengage .. Build your career with a nationally accredited Certificate IV in Mediation qualification. Flexible online and distance learning options available. Virginia Leeuwenberg is a qualified social worker and highly experienced mediator with over 20 years' experience working in community and .. Mediation: Skills and Techniques (Book Review) from the QUT Law & Justice Journal Vol 1 No 2 2001. Twenty-five years or so ago, mediation as a feature of the courts system .. Victorian Bar and the profession proffered services as mediators, .. Welcome to the first issue of "Mediation News" .. mediation or another ADR option suggested as .. The deadline for articles for the next issue of Mediation .. PREPARING FOR MEDIATION AND NEGOTIATION IN SUCCESS ..
by INS DISPUTES - There are many types of mediation, the four most commonly documented being .. evaluative form is SIMSNILC mediation ("Single Issue Monetised Shuttle No ..
by O Rundle - 2007 - Rundle, Olivia (2007) "The purpose of court-connected mediation from the legal .. The divergence of mediation practice .. Mediation practice within the context ..
by B Keys - 2010Co-mediation can provide the variety, flexibility and .. suitable for all disputes, co-mediation is not suitable for all .. co-mediation as part of their procedures ..
by N ALEXANDER - - In a political climate filled with talk of how to best regulate mediation, it is surprising .. together and addresses the questions: What aspects of mediation are, ..
Professional and Continuing Education (PCE): Mediation for .. This workshop will show you how to use mediation principles and processes to prevent conflict, resolve and manage disputes and build effective workplace .. Examine the legal framework governing the practice of mediation and issues associated with its use including privacy and confidentiality, power imbalances, .. This program provides students with the knowledge and practical skills to negotiate, mediate, manage and resolve issues and support decision making in the .. Workplace bullying: To mediate or not? by L McLay - 2010 - It is important to assess the suitability of mediation when workplace bullying is .. Is mediation appropriate at all given concerns about power imbalance and ..
by T Altobelli - 2000Altobelli, Tom (2000) "NSW Supreme Court makes mediation mandatory," ADR Bulletin: Vol. 3: No. 3, Article 3. .. thereof, to mediation or neutral evaluation, ..
- Centre for Peace, Conflict & Mediation,. Hawke Research Institute,. University of South Australia. in association with. The Haynes Mediation Training Institute .. Since 1992 National Mediation Conferences Ltd (NMC) has convened a bi- annual conference for .. NMC wishes to support the national mediation community ..
by O Rundle - 2008 - - lawyers' perspectives of court-connected mediation. The claimed .. 6. Not all of the lawyers who were observed in mediation participated in an interview. by INS DISPUTES - PREPARING FOR MEDIATION AND NEGOTIATION. IN SUCCESSION DISPUTES. J H Wade. Aim. This paper argues that a major task for lawyers in succession ..
LAWS7851 Mediation - TC Beirne School of Law - The University of .. The course content should assist potential users of mediation services, advocates and supporters in mediation, lawyers, as well as mediators and other dispute ..
AGSM Executive Program Representing Clients in Mediation College of Law; Coudert Bros Lawyers; Gilbert + Tobin State Legal Conference ..
by A Ardagh - 2007Lawyers post-ADR: mediation and collaborative law. Anne Ardagh. Guy Cumes. This Article is brought to you by ePublications@bond. It has been accepted for ..
by M Nesic - 2001 - - Lack of experience in mediation by lawyers, fear of showing weakness by .. The author is a lawyer, ADR consultant and trainer, and mediator in the UK. She is a ..
by S Hardy - 2010 - Mediation for Lawyers. Hardy, Samantha, and Rundle, Olivia (2010) Mediation for Lawyers. CCH Australia Limited, Sydney, NSW, Australia. by J Howieson - 2010What is it about mediation?' David Rogers and I set out to test some assumptions about. Australian lawyers' attitudes to ADR and in particular, lawyers' attitudes ..
How court-connection and lawyers - UTas ePrints - Home .. The qualitative analysis of interviews with lawyers and mediators reveals how these .. Lawyers' perspectives of the goals of court-connected mediation. 367. 6 ..
by K Lauchland - 2007 - in mediation and negotiation —. Lawyers beware! 101. The truth about lying as a negotiation tactic: Where business, ethics, and law collide … or do they? Part 1 ..
by D Cooper - 2007 - - Cooper, Donna & Brandon, Mieke (2007) How can family lawyers effectively represent their clients in mediation and conciliation processes? Australian Journal ..
Wade, John --- "Representing Clients Effectively at Negotiation ..
by J Wade - 2004 Conversely, when discussing how to structure a mediation meeting with a problem-solving mediator, lawyers and their clients should expect .. Forever bargaining in the shadow of the law - Who sells solid ..
by J Wade - 1998 - - the needs of large numbers of disputants who enter into negotiation or mediation "in the shadow of the law". This is a challenge for creative lawyers, counsellors, ..
lawyers and mediators as mandatory knowledge and skills slowly emerge in university and other dispute resolution courses. In simple language and using ..
by M Walker - 2007 - launched its Guidelines for Lawyers in. Mediations at the Australian Legal. Convention on 23 March 2007. The. Guidelines for Lawyers in Mediation ..
by J Brand - 2010 - South African High Court obliges lawyers to recommend mediation. John Brand. This Article is brought to you by ePublications@bond. "Forever bargaining in the shadow of the law - Who sells solid ..
by J Wade - 1998 - - Extract: Mediators, lawyers and other skilled helpers normally exhort disputants to obtain "independent legal advice" before or after entering into negotiations. by J Wade Every lawyer should be able to answer these seven basic questions from enquiring clients, or from other lawyers. What is mediation? Mediation ..
Barking Dogs: Lawyers attitudes towards direct disputant participation in court-connected mediation of general civil cases O Rundle 2008 * Queensland ..
by FS Mosten - 2001and entry of lawyers into the profession, many wonder if mediation might become a .. community resources of mediators, lawyer coaches, and social agencies. "Lawyers and mediators: what each needs to learn from and about ..
by J Wade - 1991 - - The mediation movement has been given publicity, funds of taxpayers, and support by propagating simplistic notions of the "adversary" system and of what ..
"South African High Court obliges lawyers to recommend mediation ..
by J Brand - 2010 - Extract: On 25 August 2009 the South Gauteng High Court in Johannesburg in the case of Brownlee v Brownlee held that the failure by attorneys to send a .. Continuing Professional Development (CPD) for Lawyers .. Dispute Resolution Centre, presents the following workshops in Mediation and Negotiation. by T Sourdin - 2010 - However, some poor quality mediation may not be recognised as such. Mediators, lawyers, parties and system operators (such as courts, agencies, referrers) ..
Wade, John --- "Duelling Experts in Mediation and Negotiation: How ..
by JH Wade As the majority of conflicts are settled or abandoned, mediators and lawyers are often left with the "hard cases", or escalated disputes. by O Rundle - 2010 Rundle, Olivia (2010) How court-connection and lawyers' perspectives have shaped court-connected mediation practice in the Supreme Court ..
by O Rundle - 2007 - participants, who are influenced by the legal world view, contribute to this divergence. Lawyer perceptions of the purpose of court-connected mediation are likely ..
As the work of conflict manager (lawyers, diplomats, bosses, parents, teachers, mediators, counsellors, therapists) is studied and systematised, ..
Mediators fees â•ﬂ why I now charge a percentage of the lawyersâ•Ž ..
by P Cavanagh - 2007Mediators fees — why I now charge a percentage of the lawyers' fees. Patrick Cavanagh. Bond University. This Article is brought to you by ePublications@bond. -General's Department, Canberra. Older-person-centred mediation project. Preventing the financial abuse of older people by their family members. by G Vickery - 1998Be familiar with the mediation process. As a mediator, I find I am always greatly assisted when the lawyers for both or all of the parties have had mediation ..
Wade, John --- "The Last Gap in Negotiations - Why is it Important ..
by JH Wade Accordingly, when the last gap persists, some mediators, lawyers, or other team members try this option from their box of tools. For example ..
by T v Lewenberg Lawyers, mediators, judges and professional peacemakers know that many complex tensions occur during negotiations and decision-making. by R FIELD - Mediation That Centralises The Role Of Lawyers As Advocates For Participants Who Are Victims. Of Domestic Violence' (2004) 20 The Australian Feminist Law ..
by O Often(j) I want to see lawyers without clients. 7. 12 1. Neve r. Occasionally. Often. Assessing mediator behaviour. How mediators assess behaviours in mediation ..
by J Wade - 1994 - - convinced that mediators and negotiators who openly discuss sources of power will be more .. Many lawyers involved in family litigotiation are well aware of ..
A feminist model Of mediation that centralises the role of lawyers as ..
by RM Field - 2004 - - Field, Rachael M. (2004) A feminist model Of mediation that centralises the role of lawyers as advocates for participants who are victims of .. Does lawyer participation increase the cost of the mediation process? .. One irony of the nexus of lawyers and mediation is that some studies have shown that ..
by J Wade One fundamental role of a lawyer/mediator/negotiator is to move through processes and discussions away from the rhetoric of "fairness" and ..
by L Boulle - 2001 - - First, it shows the ease with which mediation is being opened to public judicial scrutiny, particularly through the eye witness evidence of mediators, lawyers and .. Matching disputes and responses: How to diagnose causes of ..
by J Wade - 2010 - accountant; to duelling expert doctors, engineers or lawyers, when they needed a joint early "neutral" evaluation; to early settlement mediation, when ..
by RA Harris - 2001Myth number one: I'm a capable lawyer and I don't need to pay for a third party mediator because I'm a reasonable and capable negotiator who can interact with .. Negotiation and Mediation Skills Training; Contract Law for Non-lawyers .. Currently, with the exception of Contract Law for Non-lawyers, our QUT short ..
by G Sharp - 2010 - not meet for the entire mediation — not to introduce themselves at the start of their working day, nor when they settled and, in fact, the lawyers for the parties only ..
by J Howieson - 2010Extract: Like it or not there are polarised views about lawyers and ADR. .. of the compatibility of lawyers and ADR, and in particular of lawyers and mediation. by D Coggiola - 2008 - to purchase the service. Social proof in mediation. The principle of social validation can apply in mediation. Lawyers and mediators often state what a probable ..
by J Wade - 2006 - education of lawyers (and diplomats, mediators, negotiators and parents). .. One of the clear roles of negotiators, mediators, lawyers, managers, parents and ..
by N Alexander - 2003The publication of a book on Chinese mediation by Goh Bee. Chen, Law Without Lawyers, Justice. Without Courts,1 is timely and its messages are important. Systematic Risk Analysis for Negotiators and Litigators: How to Help ..
by J Wade - 2001 - - negotiation and mediation, and precedent forms to assist a client, lawyer or other .. 'Lawyers and Mediators: What Each Needs to Learn From and About Each ..
What skills and attributes do experienced mediators possess? by J Wade - 1999these respected and expert mediators are summarised briefly below. (The vast majority of these experts were also senior practising lawyers.) Preparation and ..